When I began converting my favorite enchiladas to be gluten-free a few years ago, one of the first problems I ran into was those darn corn tortillas. Yes, yes, I know all of the tricks to warming them correctly so that they don’t tear. But they can still be a pain to work with when it comes to enchiladas. So one time I decided to try just stacking them with the other ingredients like a casserole…and the rest was enchilada history. 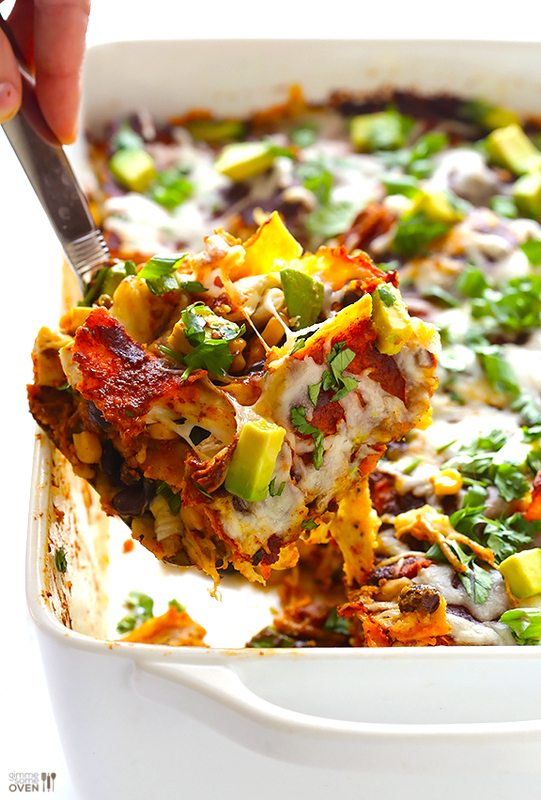 This truly is such an easy way to prepare enchiladas! And it’s also easy to serve to a crowd, especially when people get all indecisive about whether they want a “half” or a “whole”. Just have them cut out the slice of their choice.